Hi! Oh what time is it? It's been a long time right since I didn't post anything on my blog, I know it's a lack of update since I work form monday till friday and only can take a photos on the weekend and yes it should be outdoor 'cause I don't like indoor shoot. To be honest the only problem is the weather, it was raining so hard yesterday, I almost despair because we can take a photos, and then after that the sky became rather friendly, feel so lucky! Yesterday I'm dolled up a new collection from Cla Studio, finally white dress! If you notice my hair, of course you know since my hair is very long now! I'm so happy since I'm getting bored with my short hair, and then I got this hair from Irresistible me, actually I picked blonde hair and I made a little bit diy, coloured it black and let the blonde hair for the rest, I don't know what should I said since Irresistible me looks so good! I can dye it, I can wash it and it's still looks great. This is my honestly review since I never wear hairclip or anything like that, this is my first time and I'm so amazed. Beside, if you want, you can cut your hairclip too! 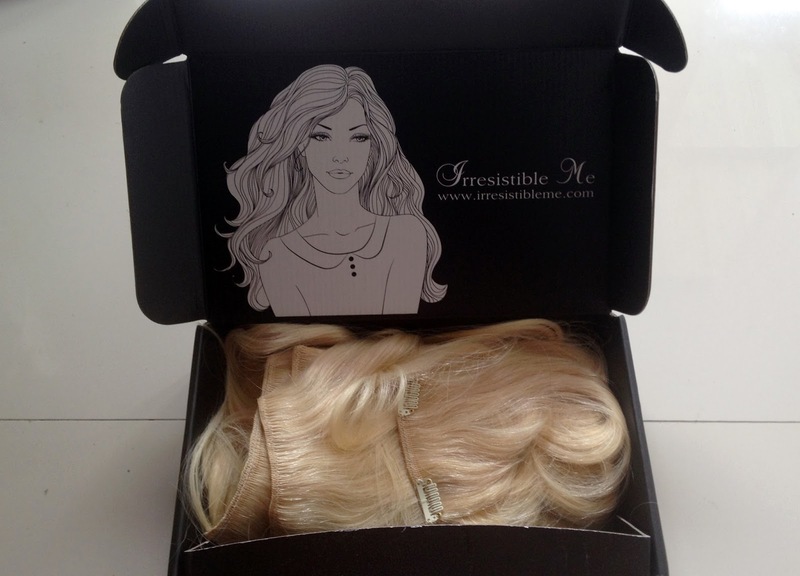 Sound great cause it's 100% human remy hair! I think I will keep wearing my "new long hair" from now. 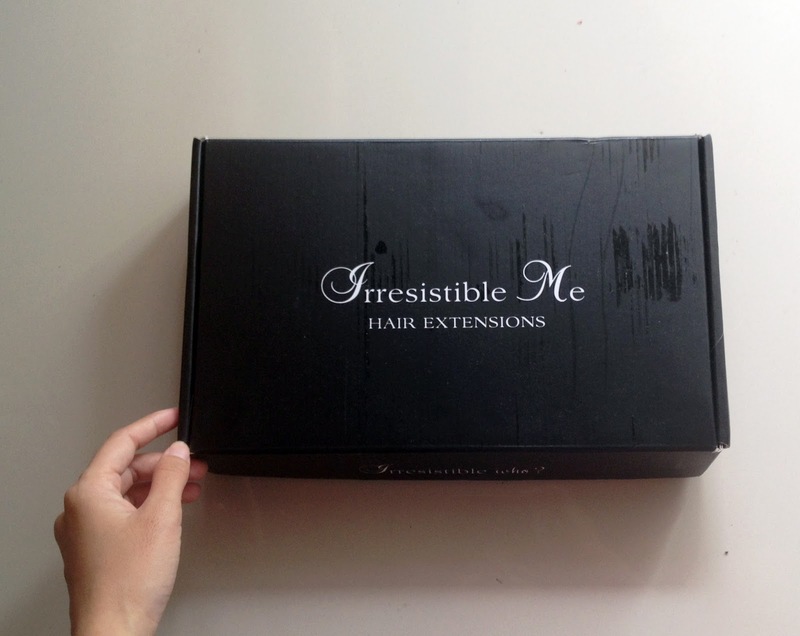 If you're curious, here the cute packaging from Irresistibleme ! that hairclip really suits you kak rin! Love this beautiful outfit. Perfect pics. this is stunning and quite ethereal!! I love this boho chic look and the hair extension looks fab on you! I hope you always keep in touch! 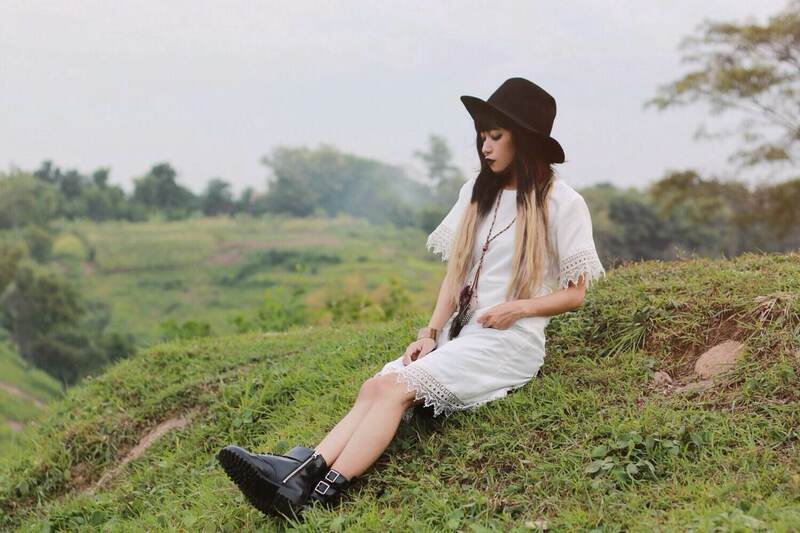 I love the boho vibe and those hair extensions are really nice ! Such a beautiful post girl. Love your black and white look. The scenery is maazing! ​Thank you for​ the lovely​ comment on my blog.